Better late than never! Another year has come and gone, and by that merit, it’s time for the thing readers love to hate: top ten lists. Since I did one for last year’s movies, I figured I’d put one together for this year as well. Without further ado, here are the top 11 films I’m looking forward to in 2016. Why 11 instead of 10? Because I’m indecisive. That’s why. Keep in mind, these are the films that I’m the most excited to see, not the ones I think will be the best. Michael Fassbender as Aguilar in “Assassin’s Creed’. At this point, we don’t know a whole lot about this movie except for the cast and the plot. Based on the popular video game franchise, Assassin’s Creed will follow the story of a young man who explores the memories of his ancient assassin ancestor. I’m excited for this movie because along with Warcraft, this film could help break the curse of bad video game movies. With an all-star lineup including Michael Fassbender, Marion Cotillard, Brendan Gleeson, Jeremy Irons and the director of the recent Macbeth adaptation, Assassin’s Creed is poised to succeed…unless it doesn’t. 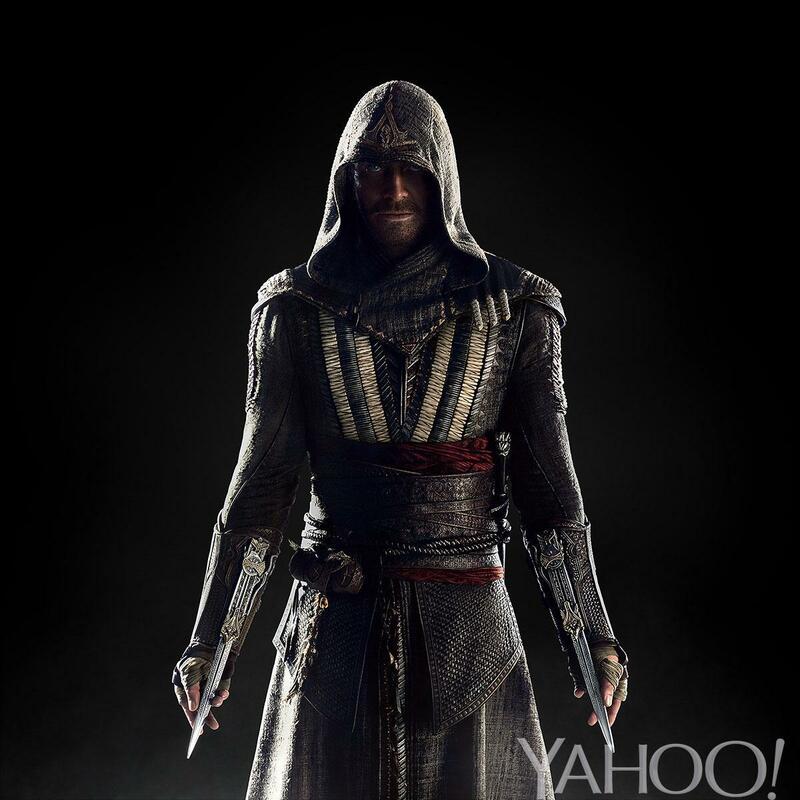 Assassin’s Creed hits theaters on December 21. A lot of movies on this list are apart of big franchises that have gigantic hype machines driving each of the properties years before they even come out. Triple 9, however, is not one of those properties. Sometimes a good movie is just a good movie. The trailer promises an exciting drama about cops and robbers, and it’s enough to get me ridiculously excited about seeing this film. Triple 9 arrives February 26. In addition to churning out animated films, Disney is beginning a new push on live-action movies. Cinderella surprised me last year by how entertaining it was, and this upcoming year sees the release of the next film on Disney’s docket: The Jungle Book. Again, this was a movie that wasn’t even on my radar for a long time. I’ve never seen the Disney animated movie (gasp), so I wasn’t too excited about this movie…until this trailer dropped. Keep in mind, most of what you’re seeing is in CG as the whole film was shot in LA. I know it’s become very popular to bash CG animation and effects in this day and age, but this movie looks to remind us that while it may sometimes be overused, it can still be used masterfully. And I haven’t even mentioned the star-studded cast yet. The Jungle Book opens April 15. Time for more confessions: the only Shane Black movie I’ve seen is Iron Man 3. Again, this is one of those movies that got me hooked by its trailer. This movie looks like it’s got color, style, humor and drama. All of which have me excited to see The Nice Guys when it opens on May 20. A new movie written and directed by the Coen brothers? Sign me up! These guys have proven time and time again that they know how to crank out great movies, and the trailer for Hail, Caesar! gives me hope that this will be an entertaining film. With proven talent backing it, this is going to be good. And the best part is that we wont even have to wait long to see it! Hail, Caesar! hits theaters February 5. Look, if you put the word “Marvel’s” in front of a movie, I’m going to see it. Marvel Studios clearly knows how to make good, fun movies, and this movie promises to be just a little bit more. With Sinister director Scott Derrickson at the helm, this movie has promised an “acid trip” of an adventure with elements of horror sprinkled in. This doesn’t look like a typical superhero movie just yet, making me all the more excited to see it when it comes out November 4. And speaking of “not your typical superhero movie”…we have this. There’s nothing I can say about this beautiful mess of a movie that hasn’t already been said. Deadpool looks violent, comical and utterly uncensored, making it one of the most unique superhero movies coming out this year. And at least if the movie doesn’t do well, we’ll always have it’s brilliant marketing campaign to remind us of what could have been. Deadpool arrives February 12. Don’t you hate it when a movie promises you a story of bad guys being bad guys, and then you get into the theater to find out that it’s a story of bad guys turning good? 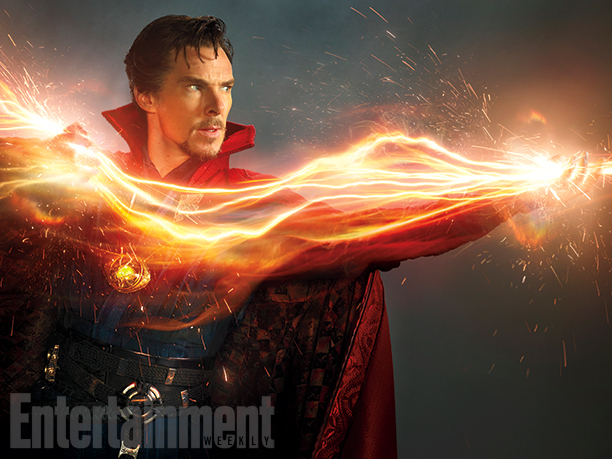 Well, that’s mainly the reason why I’m looking forward to this movie…other than the “DC Comics” label in front of it. This movie will take place in the DC Cinematic Universe and will follow the story of villains being forcibly teamed-up to do the government’s bidding. Knowing that these are characters that Warner Bros. would probably like to use in the future as antagonists, I have faith that the story will stay true to the “bad guys doing bad things” concept. Suicide Squad hits theaters August 5. Marvel Studios? Check. Spider-Man’s first appearance in the MCU? Check. Two incredible on-screen heroes punching it out in an emotional and action-packed film? Check. If you need any more convincing on how excited I am for this movie, you need only read my trailer breakdown. Captain America: Civil War opens May 6. It’s crazy enough to think that we just got a new Star Wars movie last month, but it’s even crazier to think about how we’ll be getting another one at the end of this year! This movie takes place before Star Wars: A New Hope and will follow the story of the Rebels who stole the plans to the Death Star. Not much is known about the movie, but what little we do know is enough to get me excited for more Star Wars. Rogue One: A Star Wars Story arrives December 16. If you’ve been reading this blog for any amount of time, you probably saw this coming from a mile away. 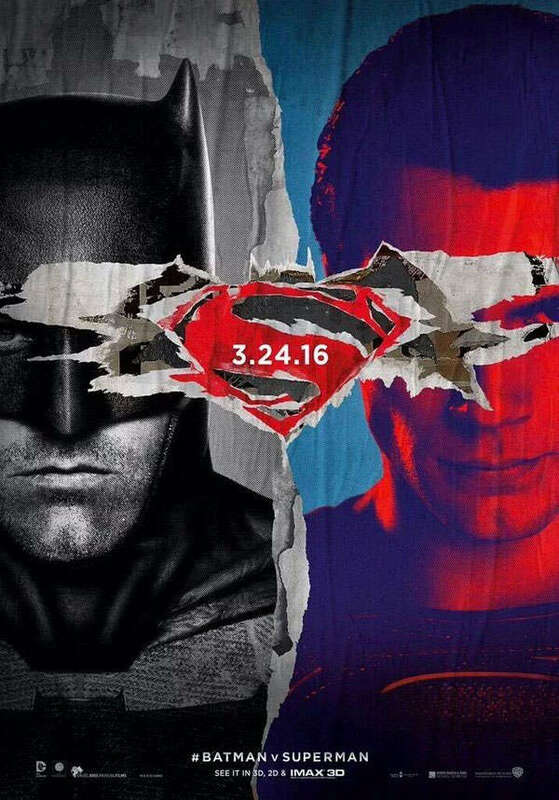 Batman is still my favorite superhero of all time, and I am so RIDICULOUSLY excited to see him go toe to toe with Superman for the first time in a live-action movie. This film will serve as our first legitimate introduction into the DC Cinematic Universe, so to say that there’s a lot riding on this movie’s success would be an understatement. Good or bad, you can guarantee that I’ll be one of the first people in line to see this when it opens March 25. What movies are you most looking forward to in 2016?